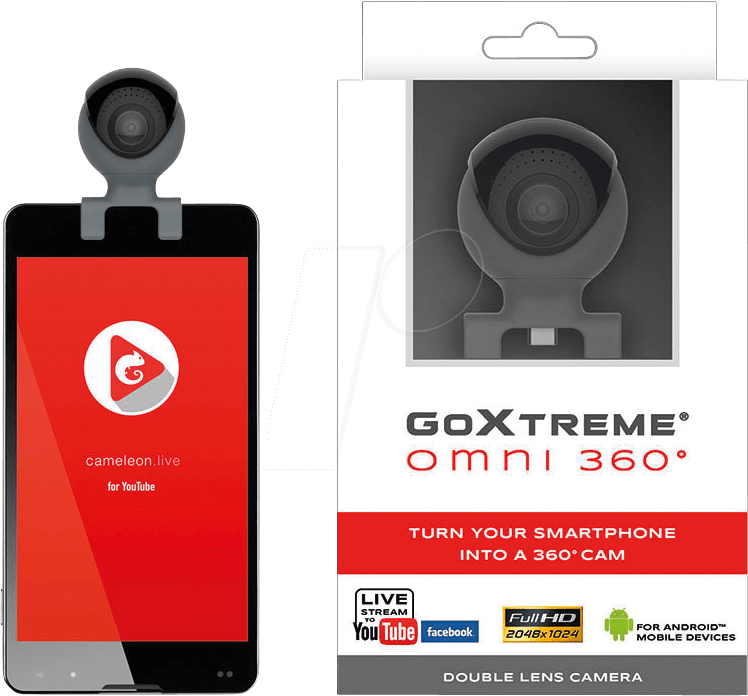 The GoXtreme Omni 360° delivers a completely new dimension in smartphone recordings. 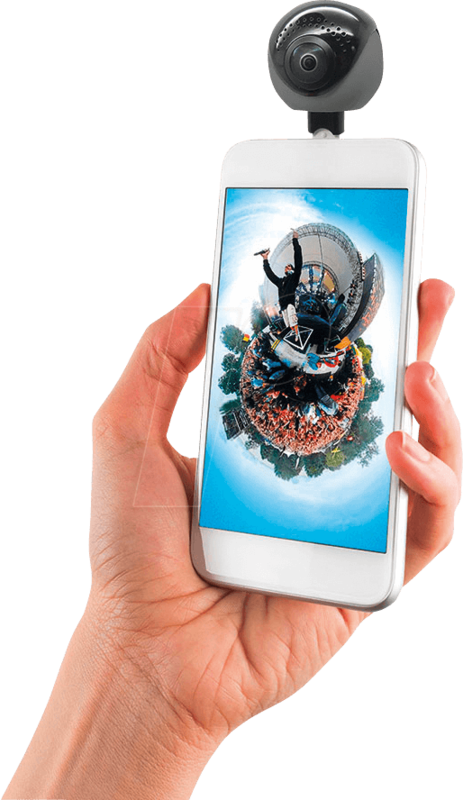 Featuring dual ultra-wide angle lenses, Omni 360 captures everything that's happening around you with nothing left to chance. 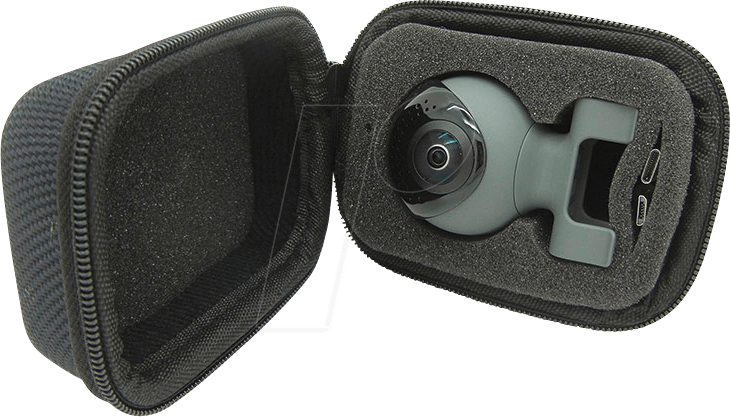 Your 360° images expand your own field of view and capture completely new perspectives. 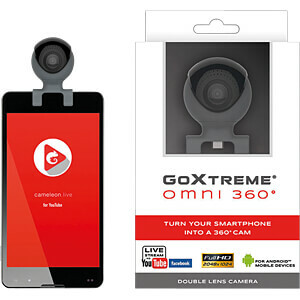 Bring your Android smartphone* to a completely new level with the Omni 360°! 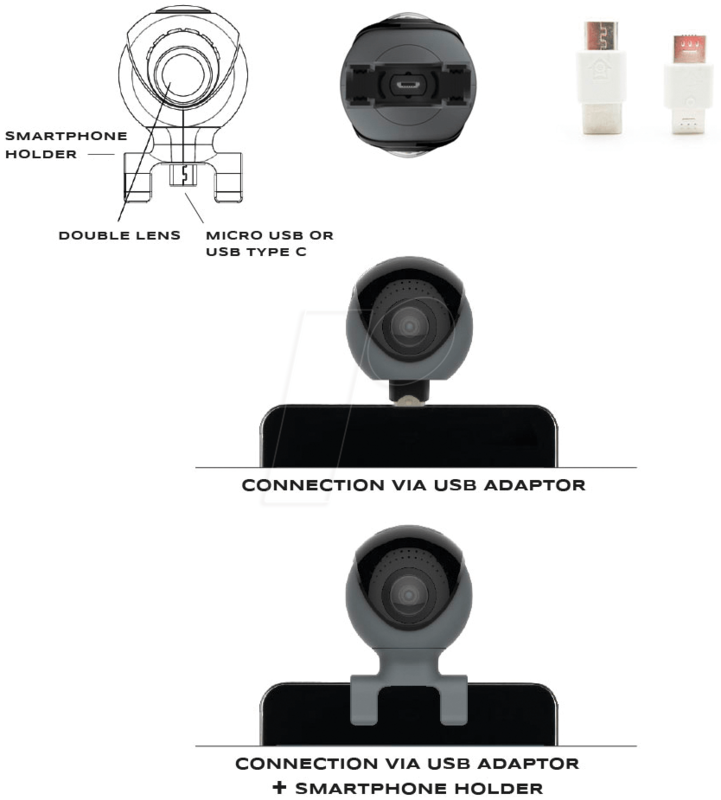 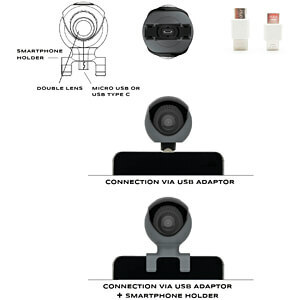 Simply plug your Omni 360º cam into the USB port of your smartphone* and start the free app. 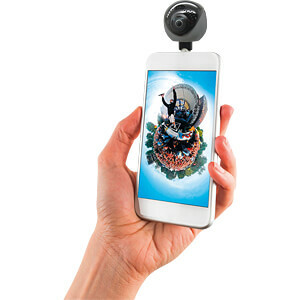 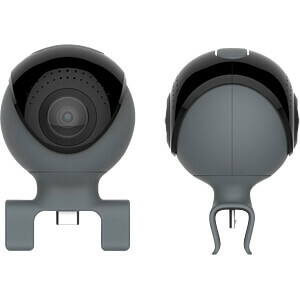 360º video recordings are now just a button push away. 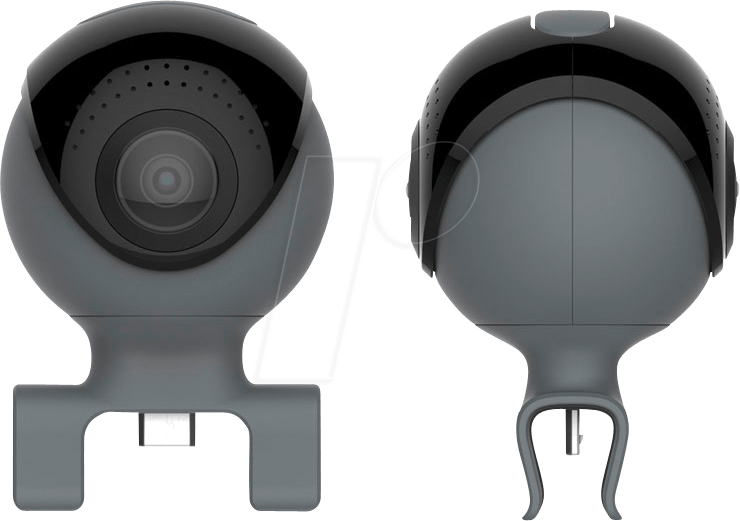 And once complete , viewing couldn't be more fun with the choice of three playback modes available: 360° full-screen panorama, 'Little Planet', and Virtual Reality mode. 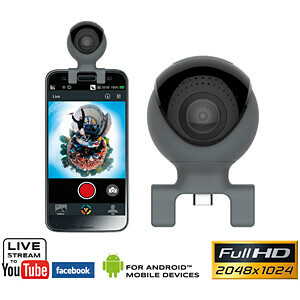 No need for a computer or laptop - directly upload your recordings via the app to Facebook or YouTube. 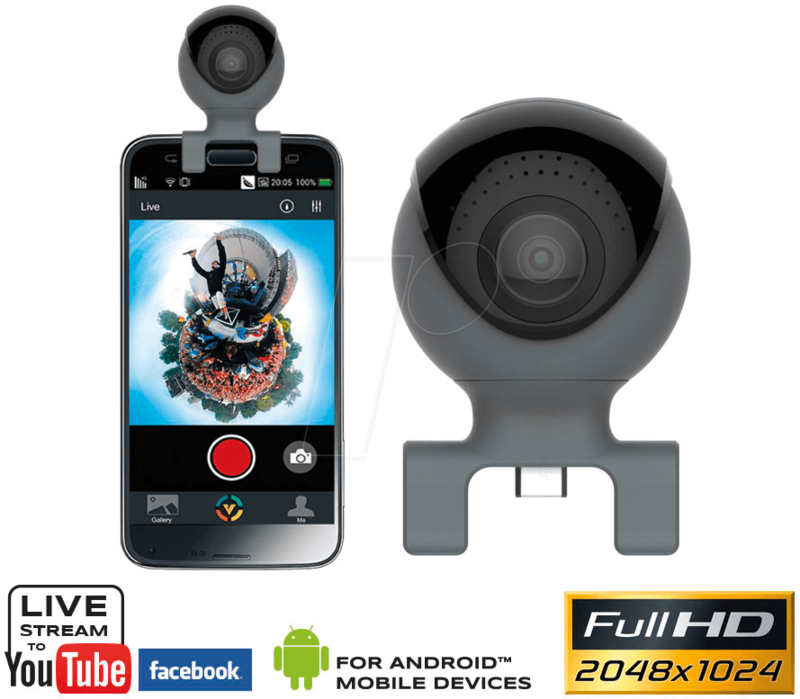 Thanks to the live stream function, you can directly connect to your friends and followers allowing them share your experience live as it happens and in fully panoramic 360°. 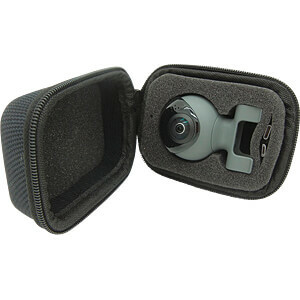 Thanks to the stylish case, the Omni 360° is always well protected and ready to use while the two USB adaptors (Micro USB and USB Type C) included ensure compatibility with a wide range of OTG-enabled smartphones* using the Android operating system.